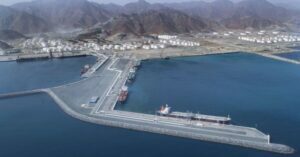 With new, stricter regulations coming into force regarding fuels’ sulphur content, the quality of bunkers delivered to ships is of high importance; they need to meet the agreed purchase specifications and applicable global and local regulations. Nevertheless, there are cases in which ‘bad bunkers’ are delivered, which may lead to damages to ship engines, disputes between owners and charterers, even detentions and fines. 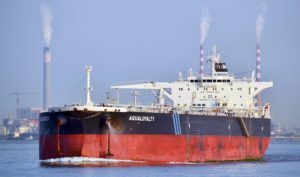 In spring 2018, almost 100 ships suffered operational problems using contaminated fuels in Houston, Texas. Phenolic compounds were present in every sample which damage the ships’ engines. A similar problem was also reported in Singapore and Panama. In such cases, bunker samples can provide the evidenced needed in order to resolve claims. Therefore, masters should keep bunker samples onboard because they determine whether their quality comply with Annex VI bunker sulphur limits. On top of that, operators need to be aware of the importance of bunker sampling, ensuring that proper bunker sampling procedures are followed during the bunkering operation. During a bunkering operation, a constant sampling is needed; the Document of Compliance (DOC) holder of the ship is responsible for setting out a sampling procedure in their Shipboard Safety Management System. This should be based on safe bunkering principles and MARPOL Annex VI resolution MEPC. 182 (59) as well as Industry Standards (ISO 13739) regarding the method of taking the sample, location and witnessing. The method to be used to secure the sample from tampering or contamination during the bunker operation. Operators should also consider that the primary sample receiving container must be attached to the sampling equipment and sealed in order to prevent tampering or contamination of the sample throughout the bunkering operation. A suitable storage location may be the steering flat, however the paint locker would be better. This is because the paint stores are protected by a sprinkler system. The container where the sample will be stored must always remain clean and dry. Nevertheless, before filling the container with the sample, the quantity that has been collected must be thoroughly agitated, in order to make sure that it is homogeneous. In addition, the sample’s quantity should be enough to perform the tests needed; it should not be less than 400 ml, while the container should be filled to 90% ± 5% capacity and sealed. It is also important the identification to be recorded on the bunker delivery note to facilitate cross-reference details of the seal. The sample that has been retained should be kept in a safe storage location, outside the ship’s accommodation. This aims to ensure that personnel will not be exposed to vapours which may be released from the sample. For their part, the personnel must be careful when entering a sample storage location. In addition, the retained sample should be stored in a protected location, in order not to experience high temperatures, and be at a cool/ambient temperature. For example, it must not be exposed to direct sunlight. Continuing, the retained sample should be kept under the vessel’s control until the fuel oil is substantially consumed. However, in any case, the sample should be kept for a period of not less than 12 months from the time of delivery. Finally, the master is responsible to develop and maintain a system to keep track of the retained samples. When the samples that have been retained expire, they should be disposed regularly. In general, a sludge collection party disposes the samples at shore facilities. Otherwise, the crewmembers pour them back into the fuel tank. During this procedure, anyone involved must bear in mind that empty plastic bottles of fuel samples must be clean prior to disposal. As a final step, the sample log book needs to include the disposal date, in case local regulations ask for the recording of the disposal method.